One of the most least understood areas of accessibility is signage. To help with this, Nova Polymers has released white papers on ADA signage. A series of white papers that simplify understanding of important codes relating to accessible room identification signage and sign compliance in the United States, Canada, Australia, and the United Kingdom are now available from Nova Polymers. The white papers summarize and detail building codes and legislation affecting the compliance of accessible room identification signage, and include line illustrations to facilitate understanding. A white paper on United States accessibility standards highlights key sections of the 2010 Standard for Accessible Design (SAD), an update of the 1991 Americans with Disabilities Act, so critical information affecting sign compliance can be easily reviewed. A separate white paper was produced for California Title 24, covering the California Building Standards Code, and consolidates signage regulations from multiple areas of the legislation in a simplified format. Additional white papers highlighting standards for room identification signage in Canada, Australia, and the United Kingdom take a similar approach in presenting guidelines in an easy-to-review format. Just as a comment on the white papers for California. For signage, they remain unclear about how to handle signs on the door, for restrooms, calling them “dual signs”. This is a little confusing. While the dimensions they quote are accurate, it’s important to note that signs on the door must be centered at 60. There is no leeway to be between 48 and 60, like the latch side signage for doors. Also, for the white papers for the California and the United States, they neglect to mention Counter signage, Stair signage, directional signage, parking signage and elevator signage. All these signage requirements are fairly detailed. Additionally, directional signage is the most vague, as it is really dependent on the site. The white papers also do not specify what “contrast” fully means. They are correct in that the sign lettering must contrast with the signs background. Its perhaps beyond their scope, but the sign as a whole must also contrast with the field it is mounted on, be it a wall or on a post. I won’t go over the many other requirements at this time, but incomplete white papers can be a little misleading, although its understandable that parking signage, counter signage or elevator signage are often not a plastic polymer (its often aluminium with a plastic coating). Nonetheless, something is often better than nothing, but there is no real substitute for actual expertise. Questions or Comments? 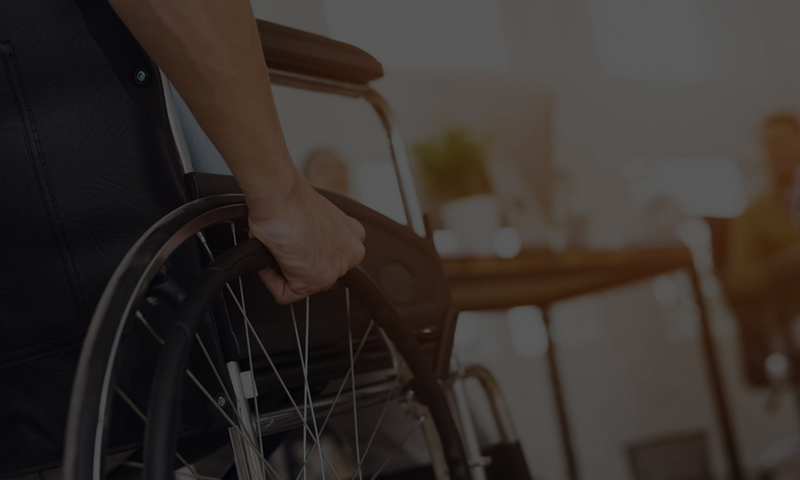 Call us at 866 982 3212 or email us at help@accesssolutionllc.com YTA is a accessibility inspection company, providing ADA and CASp expertise to help your business be in compliance with the law.